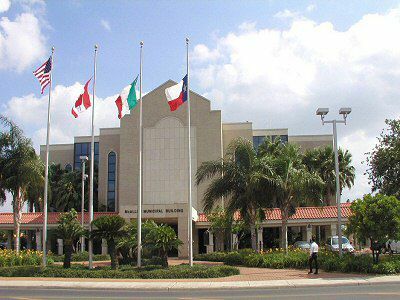 McALLEN — After months of disagreement, city commissioners voted Monday to pay the University of Texas Rio Grande Valley $1 million for its School of Medicine. The money was budgeted for the 2016-17 fiscal year, which closes at the end of September. Those funds will come from the McAllen Development Corporation. Commissioners Aida Ramirez, Omar Quintanilla and Cortez voted in favor of paying UTRGV. Commissioners John Ingram and Joaquin “J.J.” Zamora voted against the budget amendment. Commissioner Veronica Whitacre abstained. This is just the second time McAllen has paid the UTRGV medical school since 2014, when it paid $2 million. Surrounding municipalities — Hidalgo County, Edinburg and Pharr — have paid every year.